The Alarm Unit can supervise and monitor up to four Roboguards, with individual intruder detected, tamper and status LED’s. 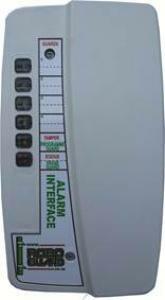 The Alarm Unit has six relay switches that can be set to either N/O or N/C contacts. Each of the guards can be individually switched on or off. Switching off does NOT disable the status or the tamper monitoring.